Before all the dye had been flushed from my system, I was removed from the recovery room, admitted to the hospital as an inpatient, and brought to a regular hospital room. It was a private room, the only aspect of my hospital stay that wasn’t covered by my insurance and for which I had to pay out of pocket. (As in many crowded New York City hospitals, patient rooms in the medical center where I had my operation performed are double-occupancy, unless the patient pays for a private room. Although my hospital charged $375 per night for a private room, I felt that cost was justified by the privacy and relative quiet that I would enjoy in comparison with having a roommate — especially since that roommate would receive his own visits from family members, friends, and nurses. But let it not be said that I don’t have my limits; I declined to opt for a “deluxe” private room, for which the nightly rate would have been $525.) Once in my private room, the IV drip (which lasted a total of 3 hours) was re-connected, and its remaining contents were pumped into my veins. In my room, hospital staff delivered dinner to me (my repast consisted of a bland turkey sandwich), but I was required to fast after midnight — no solid food or liquids after the witching hour. Not even water. The reason for this fasting was that my stomach needed to be completely empty by the following morning when the breathing tube would be shoved down my throat at the outset of the surgery. At some point in the evening, I took a shower. This was quite a production as hospital staff needed to cover my IV port, as well as the wound in my wrist from the catheterization, with plastic wrap, and to secure the wrappings with tape in both areas to make them watertight. Following the shower, I was scrubbed down with pads coated with some anti-bacterial substance. I then got about 5 hours of sleep. On Thursday morning, September 10, I was awakened super-early because I was “first case,” meaning that my surgery had been scheduled for 7:30 a.m. Like the night before, I was scrubbed down with some anti-bacterial pads (but was not permitted to take a shower). Then I sat in a wheelchair and was taken to the O.R. I was joined by my parents, and my friend Heather. Although they weren’t allowed to accompany me into the O.R., they provided important moral support immediately before the operation. They then sat in a waiting area for hours while I was being operated on, eager to hear news about the outcome. While seated in the wheelchair in a hallway awaiting my entry into the O.R., I sang “My Favorite Things,” as I’d done the previous day prior to the catheterization. 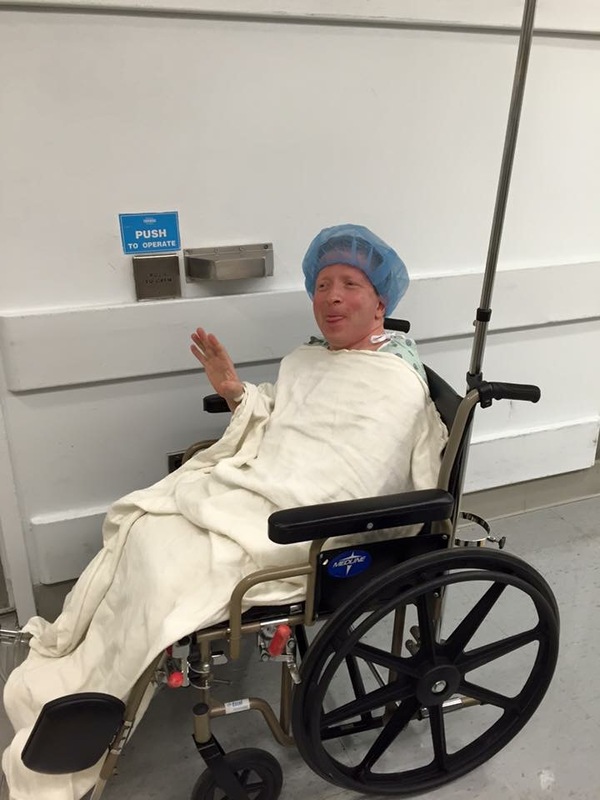 Me about to be wheeled into the operating room for my surgery. 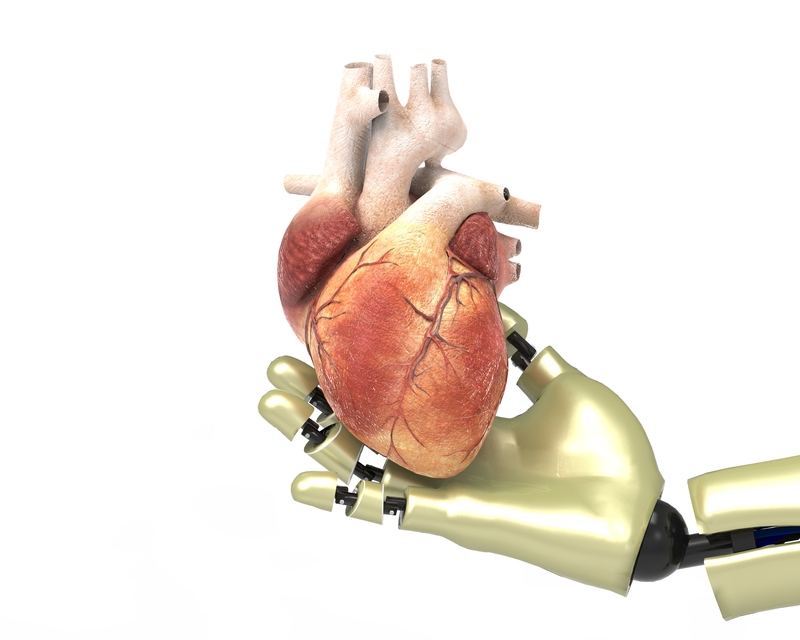 My heart was operated on robotically. Me in the recovery room, shortly after the completion of my surgery. My parents and Heather hung around a little while longer in the recovery room, and then departed from the hospital. Although it was early afternoon, it had already been a long day for them. Meanwhile, my anesthesia continued to wear off, and the night that I spent in the recovery room was filled with agony and discomfort. In addition to the IV port in my left arm, a number of tubes had been hooked up to me during the surgery and were now connected to me: a drainage tube in my chest to empty out fluid that had accumulated around my heart during the surgery; a tube penetrating my neck; an auxiliary IV line in my right arm; and a urinary catheter. I was lying flat on my back on my bed, and with all the tubes tethered to me, I felt completely immobilized. Meanwhile, as the day went on, I started to feel pain from the drainage tube. (Perhaps because of my supine position, this chest tube was causing pain in my back.) I was supposed to be able to alleviate the pain by pressing a green button that would deliver a painkiller called Dilaudid into one of my IV’s; but the Dilaudid proved completely ineffectual to mute my pain. No matter how many times I squeezed the green button, no relief was forthcoming. I had to remain in the recovery room overnight, which was the one exception to my ability to procure a private room for each night of my hospital stay. All heart surgery patients at the hospital where I was operated on are not only taken to a recovery room at the conclusion of their surgery, but spend their first post-surgical night there. On Friday morning, the day after the surgery, my urinary catheter was removed pretty quickly. However, I had to wait a bit longer for the promised removal of the other tubes that were still intruding into my body. My blood pressure was low, and the nurses waited until it climbed above a certain level before removing the chest tube. Oh, sweet relief when that tube was finally yanked out. Shortly thereafter, my neck IV, and the “line” (the auxiliary IV port) in my right arm were also removed, leaving the IV port in my left arm as the only foreign device that was still hooked up to me. That last IV port would remain embedded in me until the day of my release from the hospital. 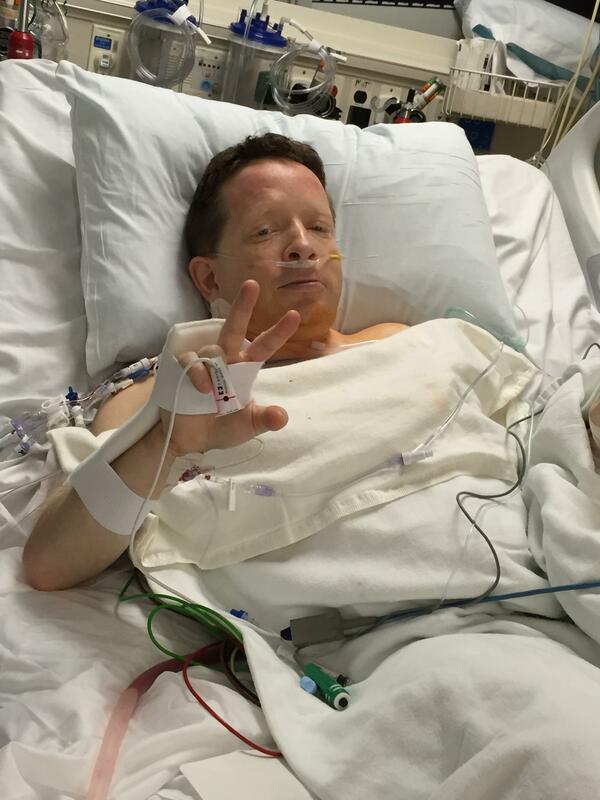 Once the tubes had been taken out of me, I finally had some freedom of movement; I was able to sit up. However, I felt very weak. In addition, getting out of the bed was an ordeal, for two reasons. First, only two days had elapsed since my heart catheterization, and I’d been warned not to put pressure on my right wrist (the area in which the catheter had been inserted into the radial artery) for three days following that procedure. Thus, I, a rightie, couldn’t use my right wrist as leverage to push myself off of the bed. Second, when I was in the operating room a large incision had been sliced in the left side of my groin, to enable the insertion of the catheter that connected me to a heart-lung machine during the operation. As a result of this incision, I felt a stinging sensation in my groin whenever I stood up. On Friday night I slept poorly despite being in the private room, although I think I snatched some shuteye. This insomnia was partially attributable to the fact that every two hours or so, nurses entered my room to check my vital signs, draw blood, and perform other similar tasks. Plus, the nurses insisted on keeping the door to my room open, and I could hear conversations and other noises originating in the hallway. On Saturday, a physical therapist took me for my first post-surgical walk. (I’d declined to go for a walk on Friday, due to the aforementioned stinging sensation in my groin). This time I held an ice pack to my left groin area, and that helped moderate the stinging feeling. I still found it extremely difficult to walk, due to pain in my chest, weakened lung capacity, and general exhaustion. Even a mere 250-foot loop around the nurses’ station and back to my room was an ordeal. After I returned to my room, I felt short of breath for about half an hour. I spent much of the rest of Saturday napping in spurts. On Sunday morning, one of the surgeons from my operating team, visiting my room while making rounds, suggested that I should be discharged later that morning. He must not have been familiar with the fact that the previous day, I had barely even been able to walk. I firmly responded that I was not ready to leave the hospital, and I would be staying at least one more night. My Sunday stroll in the corridor went much better than my Saturday one had, although I was still moving quite slowly. This walk, however, wasn’t nearly as physically painful. (Holding an ice pack over my groin helped to reduce the pain in that area as I walked.) It felt like quite an accomplishment to complete my stroll, even though the distance covered was again a meager 250 feet. 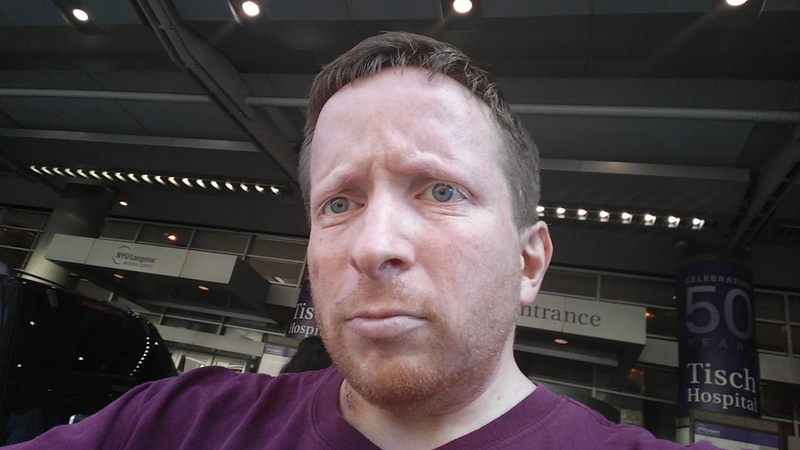 However, a new issue had arisen: while the removal of the breathing tube on Friday had provided temporary relief from the excruciating pain that the tube had caused, now I was starting to feel very sore in the area where the tube had been. This pain was so bad that I couldn’t lie straight back, because when I did so I felt pressure in my back emanating from the chest pain. So I couldn’t sleep in my bed, and instead slept sitting up in one of the chairs in my hospital room. Once again, the quantity of sleep that I was able to obtain was minimal. On Monday, September 14 — four days after the surgery, and nine weeks ago today — I was discharged from the hospital, and stepped outside the building for the first time since the preceding Wednesday. On the day of my discharge from the hospital, I stood outside for the first time in five days. I was very nervous about going home because I still felt weak and in pain. The pain in my right chest area made it impossible for me to lift my arm, or to change shirts without assistance. I was also feeling significant numbness, bordering on stinging, in my left thigh below the groin incision. As advertised, there was no pain from the tiny incisions that had been carved to enable the endoscopic arms to enter my body during the “minimally invasive” robotic surgery. But I hadn’t expected the pain in the other areas to linger as long as it had. Although I was still reluctant to leave the hospital, I felt pressured to consent to be discharged. In part, the arguments presented to me were understandable; as long as I remained in the hospital, I would be at risk of contracting one of the many diseases that the facility’s other patients had been hospitalized for. (According to the Centers for Disease Control, in the U.S. alone, nearly 100,000 patients die every year from hospital-acquired infections.) I also had my own reasons for wanting to check out: as described above, the hospital hadn’t exactly been the most comfortable place to stay, and I’d gotten very little sleep there — and I was going to need to sleep much better if I was going to heal from my surgery. Moreover, each additional day that I delayed my release would cost me another $375 for the private room I was occupying. And I’m not gonna lie; with my aversion to needles, the prospect of finally having the IV port pulled out of my arm was enticing. So I agreed to go; and four days after the surgery, I was homeward bound. Due to my weak and vulnerable condition, I hired an assistant (supplied by the hospital) to accompany me to the hospital’s pharmacy to pick up the medications that had been prescribed for me; and to then ride with me in the Uber car that I summoned to drive me home, and make sure that I made it safely into my apartment after the Uber dropped me off in front of my building. In the coming days, friends who lived in New York City brought over food to my apartment and accompanied me on some of the twice-daily walks in my neighborhood that I needed to take to build up my stamina and respiratory capacity. These visitors supplied vital human contact. Additionally, I received weekend visits from my friends Wil and Dave, who lives in the Baltimore, Maryland area and Central Pennsylvania, respectively; and my cousin Faith, who resides in a suburb of Philadelphia, Pennsylvania. Whether solo or accompanied, the outdoor walks that I took in those early days home were painful due to the effects of the groin incision. Simply standing up no longer triggered a stinging feeling; but a continuing side-effect of the groin incision was that a large portion of the thigh of my left leg was numb to the touch, and the thigh hurt when my clothing chafed against it during walks. When I wasn’t going for walks or entertaining visitors, I did some reading, watched television and movies, and chatted with friends on the internet. It was important for me to simply get copious quantities of rest, to facilitate the healing of my wounds. For the first five or six nights after my return home, due to the pain in my groin and chest areas, I slept on the couch because it hurt too much to climb into and out of my bed. Eventually, though, I was able to resume sleeping in my bed. My bed is more comfortable than my couch, and grabbing my zzz’s in it greatly improved the amount and quality of my sleep. Twice during the middle of the night between Monday, September 28 (two weeks after the date of my hospital discharge) and Tuesday, September 29 I woke up with severe itchiness on various areas of my face as well as the area of the incisions the right side of my chest. Both times that I awoke, due to the itchiness, I had trouble falling back asleep (even when I applied hydrocortisone to the sources of itching on my face); consequently, I only got a cumulative total for the night of about four-and-a-half or five hours of sleep. On Tuesday morning, the surface area of my skin that was subject to the itchiness expanded, and I began to notice rashes on various areas of my body; for example, my scalp itched intensely for a while, and I had red splotches on my arms. Later that morning, I was seen by a dermatologist. (He was in private practice and unaffiliated with the hospital where I’d had my surgery and where I’d generally been following up with doctors and nurses.) He told me that in his professional opinion, I had “post-operative dermatitis” — an allergic reaction related to my recent surgery and to the many drugs (including possibly some of the component drugs of the anesthesia) that I’d been given during and subsequent to the surgery. It was not unheard-of, he explained, for allergic reactions such as the one I was now in the throes of to manifest a couple of weeks or so after the surgery. To relieve my symptoms, he prescribed two topical medications and an oral antihistamine. Fortuitiously, I had a previously scheduled follow-up appointment with my cardiologist that afternoon. So just a few hours later, the cardiologist was looking over my rashes. Those rashes had expanded during the course of the day. For example, one rash now covered most of my back. Over the next couple of days, I continued to experience redness and itchiness over much of my body; even my hands and the soles of my feet were completely red. Unlike most of the other areas of redness, my hands and feet had a burning sensation. Due to the burning sensation on my feet, it hurt to walk. And for the parts of my body that did itch, the topical medication that the dermatologist had prescribed proved ineffectual to soothe the itchiness. Moreover, the itchiness was constantly migrating from one part of me to another; for example, one minute my scalp might itch like crazy, and then ten minutes later the itch might emanate from my arms or chest. On Thursday, October 1, I hit my low point. After I returned from a late-afternoon walk to Central Park, my forehead felt hot to the touch, and I felt chills. I took my temperature and measured a fever of 101.2 degrees. Recalling that the guidelines handed out to me at the hospital said that any fever of at least 100.4 degrees should raise a concern (as a possible indication of infection), I tried calling my surgeon’s nurse practitioner. As the department of cardiothoracic surgery had closed for the day, I was put through to a nurse on duty, who instructed me that I should go to the emergency room to get checked out. So I ordered an Uber car and headed to the hospital’s ER. My visit to the ER lasted approximately five hours. Immediately upon my placement in a bed, my arm was implanted with an intravenous port. 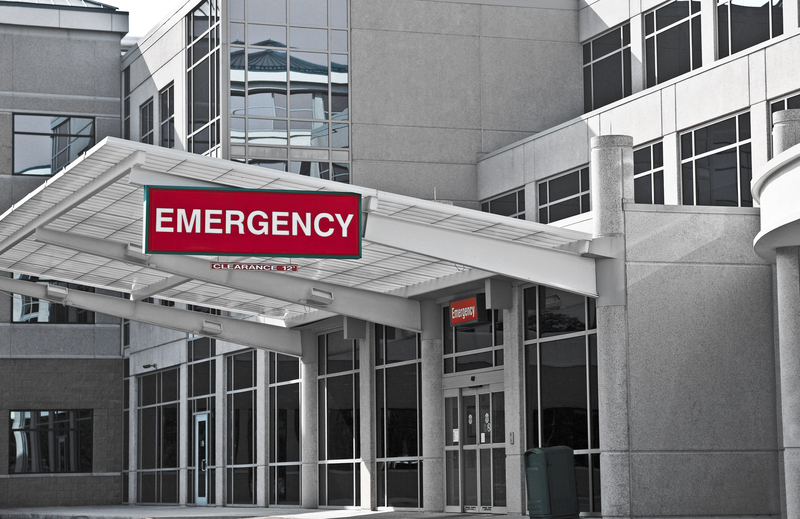 Over the course of my lifetime, I’ve had many ER visits, dating back to the time I swallowed a nickel when I was seven years old; but this was the first occasion on which I had an IV port inserted into me in an ER. Using the IV, the staff took multiple blood samples, which they dispatched to the lab for lightning-quick analysis. I was also wheeled to radiology where my chest was X-rayed. The fact that my fever responded to two Tylenols that I was administered, and that before long my temperature was back within the normal range, was a good sign. So was the fact that the bloodwork didn’t reveal an elevated white blood cell count — mirroring the similar result from my bloodwork a couple of days earlier. A dermatology resident who examined me in the ER felt that my rash was likely an allergic reaction to the Plavix that I had just been taken off of a couple days earlier, and that my fever (which was now gone) could have been caused by my body’s inflammatory response to the allergy. She thought I should be sent home. However, the attending physician in the ER wanted to have me readmitted to the hospital as an inpatient and kept there overnight. Not because he felt any need to keep me under observation, but because he wanted me to be seen the next day by an attending dermatologist, as opposed to the mere resident who’d looked me over in the ER. (No attending dermatologists were on call at night, there not being many dermatological emergencies.) He told me that I also needed more bloodwork to check my liver function. I did sleep quite well that night in my own bed. At the dermatology clinic, the attending physician agreed with the diagnosis of the dermatology resident from the previous evening: my symptoms were attributable to an allergic reaction to Plavix. Now that the Plavix had been discontinued, he expected that the rashes should go away within a week. To enhance my comfort during that time, he prescribed a stronger topical medication than the ones that the private practice dermatologist had given me earlier in the week. The attending dermatologist also couldn’t understand why the attending physician in the ER had insisted that I needed additional bloodwork to assess my liver function; my chart indicated that my liver function had already been tested during my marathon stint in the ER, and had been found to be normal. My allergic reaction went away even quicker than predicted. Within a couple of days, by Sunday, October 4 (five days after the last day on which I took Plavix), my rashes and itching had virtually disappeared. On Tuesday, October 6, I returned to work. On my very first day back, I tired very quickly, but my stamina increased as the week went on. Concomitantly, my outdoor walks were getting longer. The weekend of October 10-11, the weather was gorgeous and on both days of that weekend I not only walked to Central Park but took considerable walks within Central Park. Beginning on Monday, October 12, for about four days, my left clavicle would hurt when I inhaled. The pain was so intense that I stayed home from work all week. (I briefly stopped in my office that Friday to pick up some items I needed to take to Washington, DC, where I attended my law school reunion’s gala dinner on Saturday night, October 17.) I theorized that I was experiencing musculo-skeletal pain brought on by ramping up the amount of my walking too quickly. I returned to work for good on Monday, October 19, although I’m still gradually increasing my working hours. As I write this, I’m still recovering. 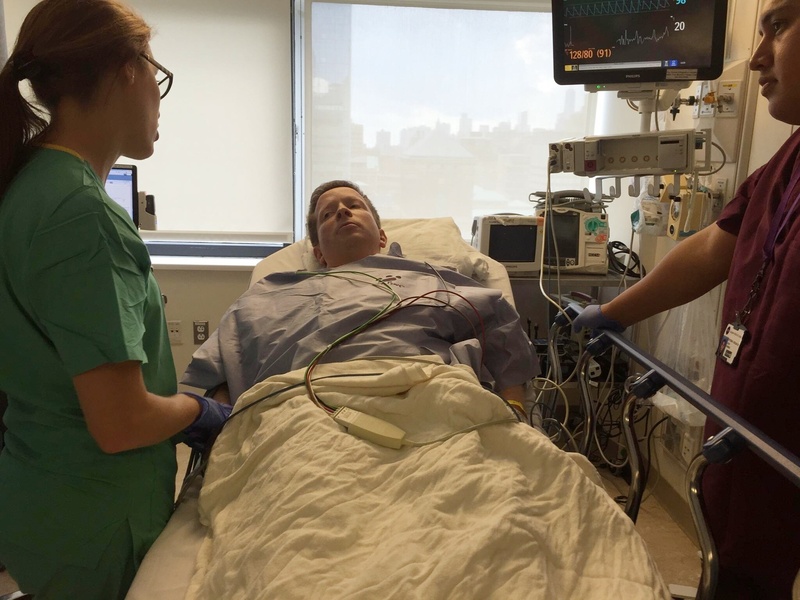 One lesson of the past 67 days for me has been that even “minimally invasive” heart surgery is still heart surgery, and recovery from it is a serious business. Nevertheless, my recovery has been smoother and less painful than it would have been if I’d opted for the old-fashioned version of mitral valve repair in which the surgeons crack open the patient’s breastbone to access his heart. Throughout each class, participants are hooked up to small telemetry devices that measure their heart rates both at rest and while they’re on the machines, and transmit that data to video monitors that the physical therapists are constantly gazing at. Additionally, the blood pressure of each class participant is measured both at the start of the session and while the participant is exercising on machines. Also, a cardiologist is on call during each session. So, the purpose of cardiac rehab is for recovering heart patients such as me to safely, and under supervision, increase their strength, flexibility, and stamina to their pre-surgery levels (and, in some cases, to exceed those levels). I’ve been attending three sessions per week. As of this writing, I’ve completed eight sessions of cardiac rehab, and already I feel significantly stronger than when I began the program. 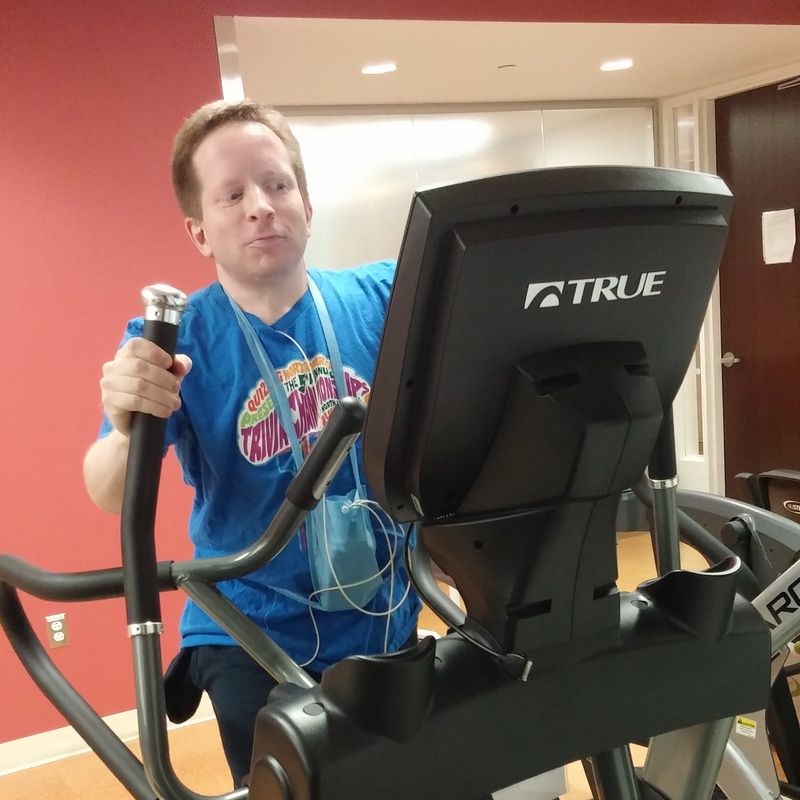 Me on an elliptical machine during one of my cardiac rehab sessions. Patients are entitled to up to 36 sessions, as that’s the number of classes that insurance covers; and most of my fellow cardiac rehabbers seem intent on reaching that limit. However, based on my progress to date and my relative youth compared to most of my classmates, I believe that I’ll require considerably fewer sessions to restore my physical condition to where it needs to be. My tentative plan is to continue with cardiac rehab through the end of calendar year 2015, at which point the quantity of sessions that I’ll have attended will number in the low twenties. Then I’ll resume going to my neighborhood gym to exercise (which I’m already currently doing on some of the days between cardiac rehab classes). By the end of December, over three-and-one-half months will have elapsed since my surgery, and it should no longer be necessary for my heart rate and blood pressure to be monitored when I work out. I would estimate that I’m now about 90% recovered. As stated, for the remainder of 2015, I’ll continue attending cardiac rehab — rebuilding the H-Bomb, as it were. 🙂 Meanwhile, my incisions will continue to heal. Although they already look much more like scars than gaping wounds, one of the nurses at the hospital told me that it takes about six months for the incisions to heal fully, inside and out. One reminder of the lengthiness of this process is that for approximately the last two weeks, I’ve experienced recurring pain in the vicinity of one of my chest incisions. The area immediately below that incision not only feels sore to the touch, but has some numbness. According to my surgeon’s nurse practitioner, these sensations are not unusual — even over two months after the surgery — and apparently indicate that some nerves are repairing themselves. She advised me that the pain could persist for weeks or even months from now until it fully resolves. Despite that intermittent pain, which I’ve been able to manage with ibuprofen and acetaminophen, nine days from today I’ll be embarking on my first international voyage, and first airplane trip, since the surgery: I’m going to Rome! I’m looking forward to finally adding Italy to my World Karaoke Tour, as my two previous visits to that country didn’t include any singing. If things proceed according to plan, Italy will become the 39th country on my World Karaoke Tour — and the first since South Korea this past January. It’s important to keep in mind the reason that I’ve gradually resuming my normal life activities: my surgery was a success. Blood is no longer leaking from my heart’s mitral valve. As a result, doctors who listen to my chest through a stethoscope no longer hear a heart murmur. Moreover, as agonizing as the early days in the aftermath of my surgery were, I did get through them. Now I can focus on the fact that my heart has been fixed. About half a year ago, when I was first learning to accept the fact that I needed heart surgery, I was forced to contemplate my mortality. I wrote, “I’m going to place a greater priority on making every moment count and appreciating every day that I wake up alive.” Writing in November, with the surgery receding into the past, I still adhere to those goals. I can’t wait to get back to doing the things that I’m passionate about — including, but not limited to, travel and karaoke. While I can’t control what misfortunes may befall me in the future, I intend to enjoy life to the fullest for as long as I’m able. 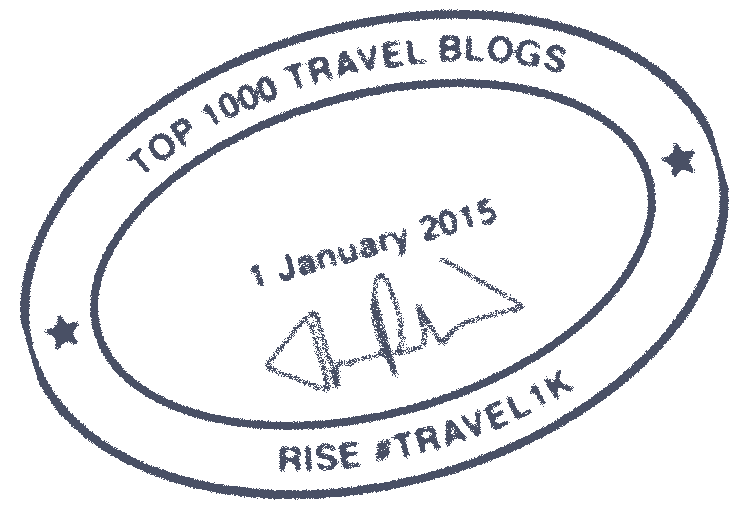 UPDATE (December 7, 2015): It’s been three weeks now since I originally published this blog post. During that time, I’ve taken a great leap forward physically; I feel that I’m now completely recovered, in that my strength and stamina are back to their pre-surgery levels. Moreover, the incision pain in my chest that was afflicting me a few weeks ago has gone away. I did go to Rome at the end of November, and that trip was successful; among other things, it included the addition of Italy to my World Karaoke Tour. 🙂 Blog posts about my Roman holiday are coming later this month. So my heart — and my life — go on. Have you had major surgery? If so, what was your experience like? Hi Harvey. It’s good to read you are 90 percent recovered and the surgery stopped the bleeding in your valve. Continue following your passions. @Krishna: Thanks for your nice comment, and thanks for being one of the friends who came over to help on the very day that I came home from the hospital. Thanks for the report. I’m glad to hear you’re recovering nicely. We’ll have to find time to go out singing together. @David: I’m always up for singing with you. Of course, I don’t know the next time I’ll be in D.C., having just been there last month . . . and I heard that the divy sushi place where I used to go to sing in our nation’s capital has closed. Harvey, glad to read (from the beach on Christmas Island, Kiribati) of your successful recovery and resumption of your World Karaoke Tour. You can add to your notes that you can perform Karaoke on Friday night’s at Captain Cook Hotel on Christmas Island — I know because they kept at it until 2:00am. PS — I was only here on Friday because the return flight was canceled due to a severe storm, so I (along with 60+ stranded passengers) am stuck here for 5 extra days. @Michael: Thanks for the kind words. I hope to someday make it to Kiribati, and it’s good to know that I can find karaoke even there! Hey there Champ : ). Nice write up and accompanying photos. I’m especially fond of the wheelchair shot 😜 (These are a few of my Faaaaavorite things!). That first night postop sounded grueling. I can’t believe it came and went already and that you have been to Rome and back! Can’t wait to see ya in NYC or LA! And that moment when discharged from the hospital and you see the outside world for the first time….. Your photo captures the moment perfectly.